Anyone know this hotel? I want to stay here! 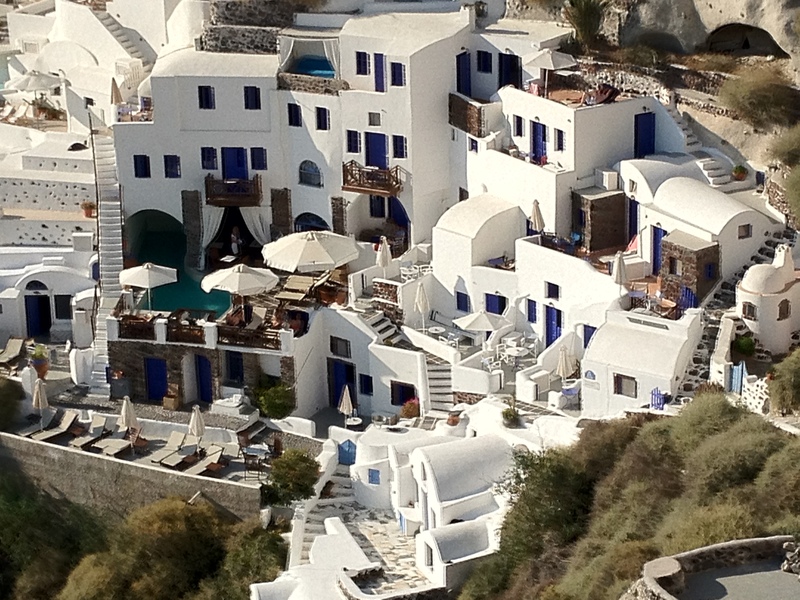 One of our trip’s highlights was the time we spent in Oia – if you have been you know what I am referring to! The magic of a town built in the rocks above a sparkling sea that just dazzles when the sun sets. Tip: We took the bus to Oia, which was super simple since there is one major road that goes along the coast and our hotel was in between Fira and Oia on that road. It cost less that 2 Euros! In Oia we shopped and took lots of pictures waiting for the sun to set. 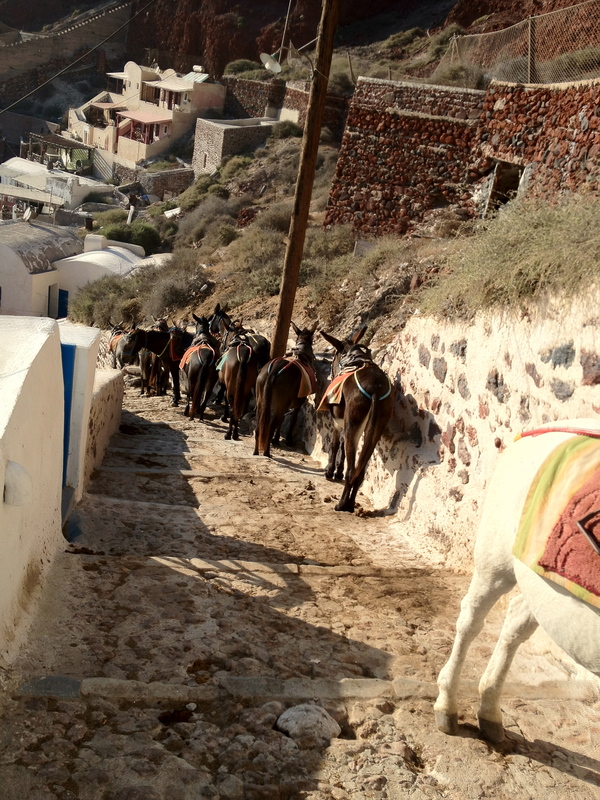 I even took the opportunity to walk down to the water and back up – +300 steps, in flip flops, passing stinky donkeys! Tip: Wear FLATS! No heels. Also, while waiting for the sun to set we enjoyed watching the people and listening to their animated comments as they came down the stairs and encountered donkey row and all its fragrances. Oia is pure magic, I could post a 100 pictures from that night and each is more stunning that the former. 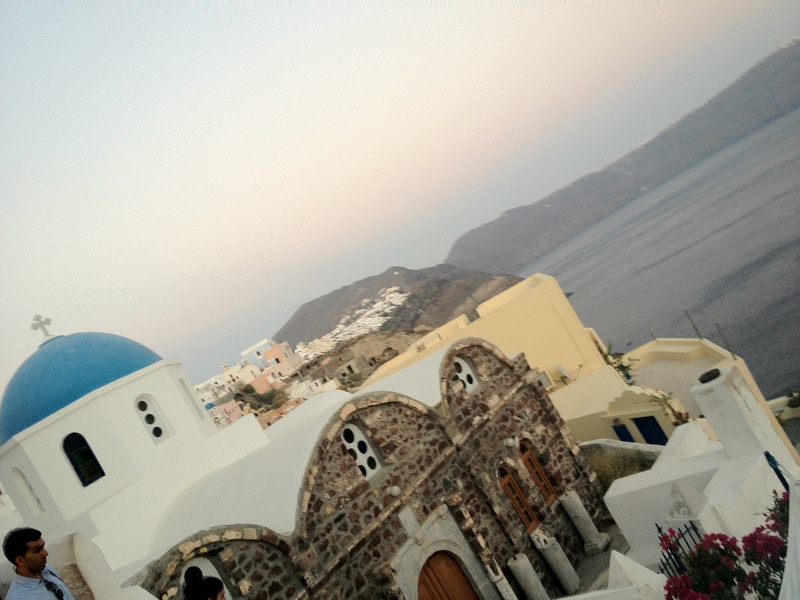 Oia is a place I will return to for certain.